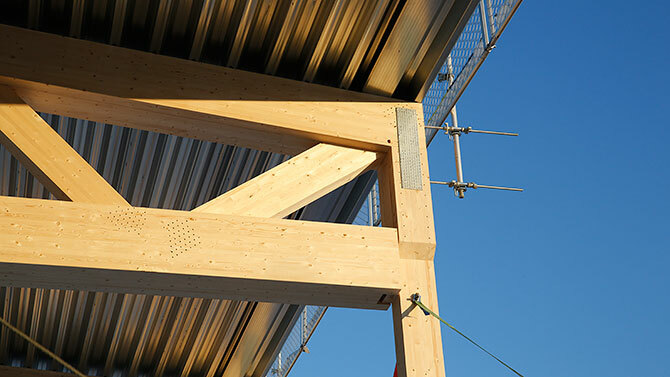 In building constructions with wooden beams the edge protection can be mounted with various systems and solutions, for example with Flex Facade brackets. 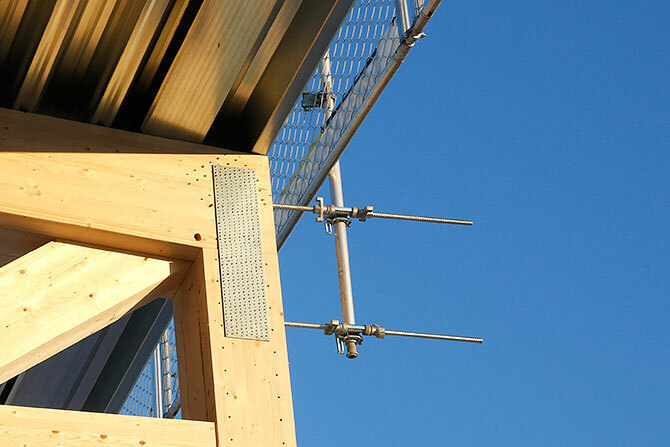 The facade bracket is directly mounted on a wooden beam with the required wood screws. 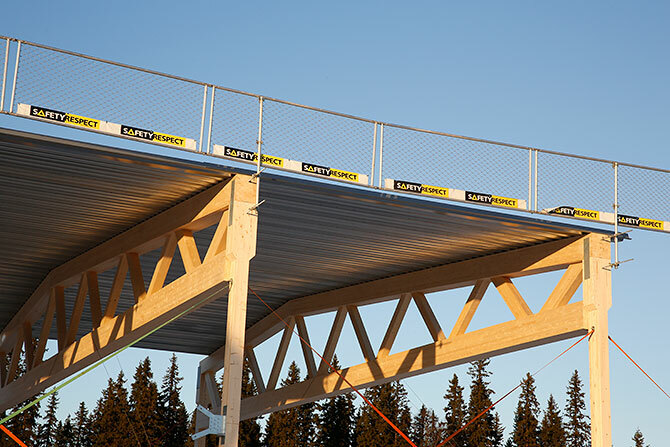 When a roof protection is required, a Hall System can be installed in the wood structure. The attachment is then done by using rods.